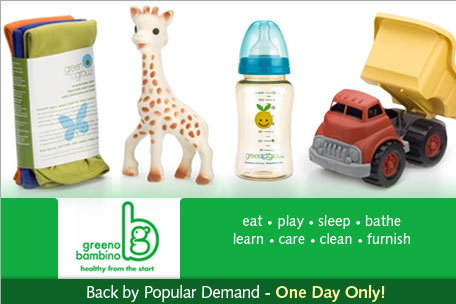 For today only, Eversave has a great deal on Greeno Bambino. You can score a $26 certificate for only $13. Plus, if you are new to Eversave you will get a $5.00 credit just for signing up. And the great thing is that this certificate CAN be used toward shipping. Shipping is a flat rate of $5.00 so technically you are getting $21 worth of products for only $13 shipped or $8.00 if you are new to Eversave. You can head over here to check it out. combination of quality, safety and value.